The Myofunctional Bead is used to train the tongue to swallow in a correct pattern. The patient is instructed to spin the bead with the posterior aspect of the tongue. This exercise teaches the tongue to squeeze against the roof of the mouth instead of pushing forward against the teeth. A tongue thrust seriously inhibits the clinician from completing orthodontic treatment. 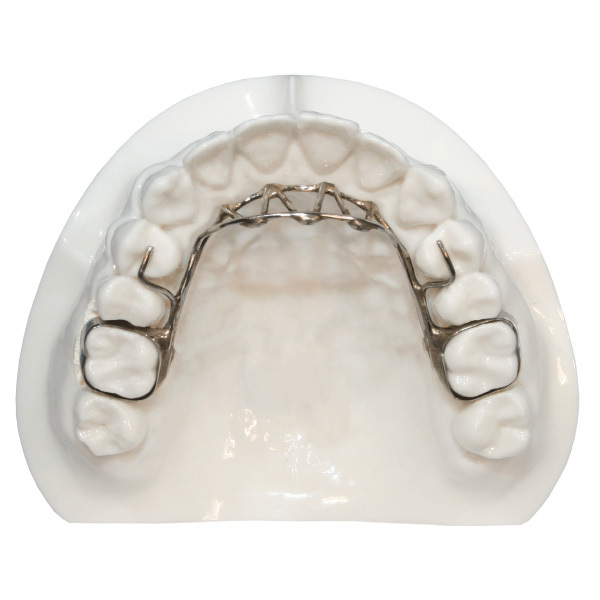 If the tongue thrust behavior is not corrected, the clinician often is unable to retain the full orthodontic result. Tongue thrusts open bites. A patient who has a tongue thrust often appears to be frowning when they swallow. When a child develops, normal tongue posturing expands the upper arch, creating enough room for the teeth to erupt in a reasonably normal fashion. When a tongue thrusts exists, the upper arch collapses from improper lateral development that is usually provided from a normal posturing tongue. A patient with a tongue thrust often has difficulties with speech, especially the “S” and “Z” sounds. The patient is often a mouth breather, and when at rest, rests with their mouth open and a forward tongue position. There are many designs for a Myofunctional Bead. Ideally, the bead is placed posteriorly, between the 1st molars. 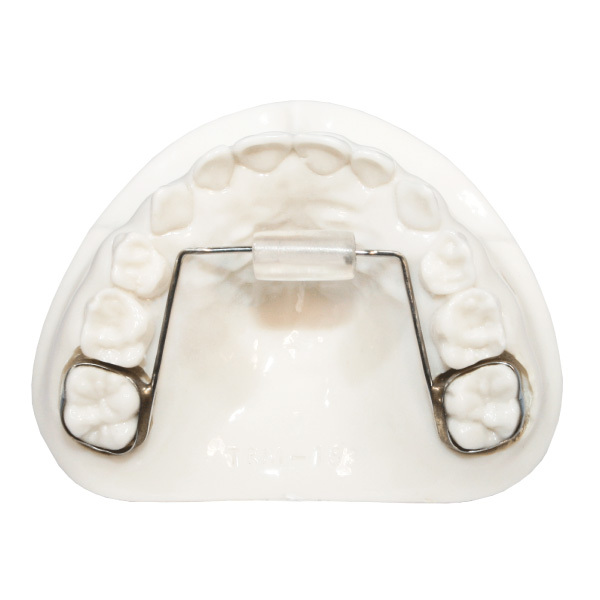 A Myofunctional Bead can be placed on numerous appliances both fixed and removable, and can be added to prefabricated appliances such as the Wilson Transpalatal. Lab Requirements: Upper and lower models free of bubbles, distortions, or voids. Impressions must be taken with a heavy body alginate or PVS. The picture above shows a Hyrax expander with a Tongue Crib added. 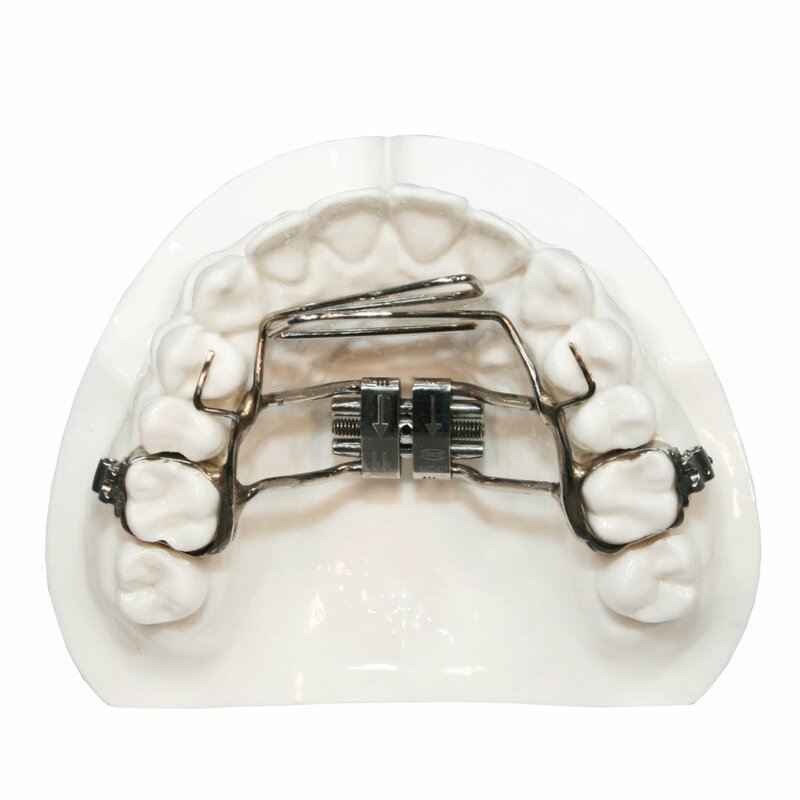 Upon request, a Tongue Crib can be added to many appliances including: the Hyrax, TPA, Five Star Mixed Dentition Expander and CD Distalizer. Loops which hang occlusally can be cut to form spikes if the habit persists. 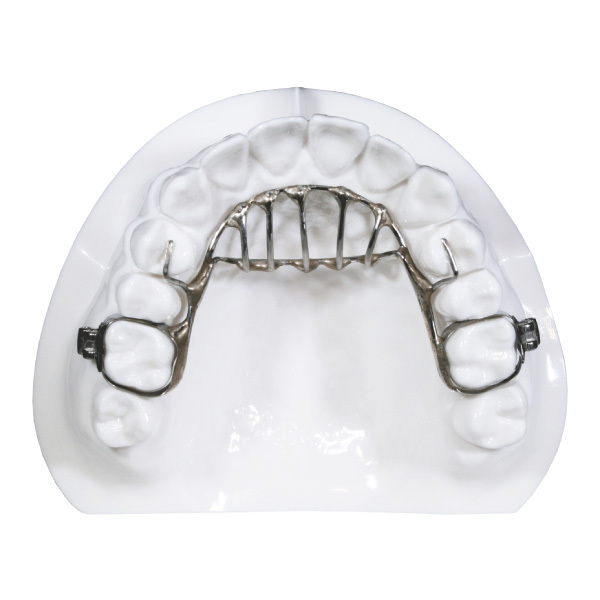 A Tongue Fence can be added to many fixed appliances to prevent the tongue from driving the anterior teeth forward. 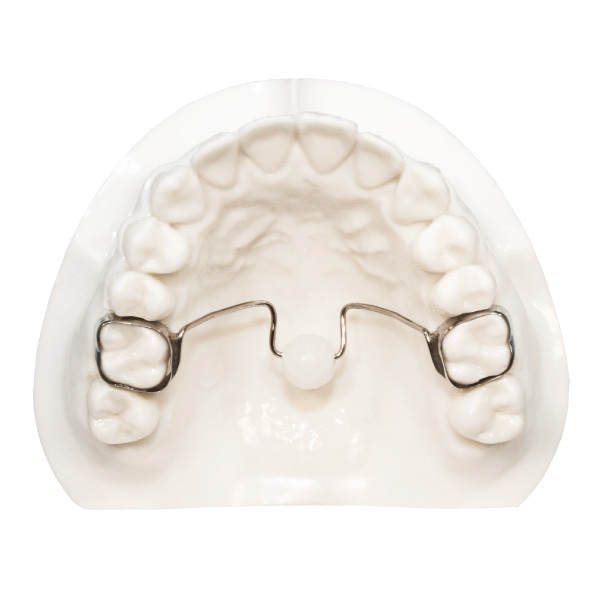 Tongue Tamers can be banded to the lingual of the incisors to deter thumb sucking and or tongue thrust. This habit appliance treats both tongue thrust and finger habit situations. 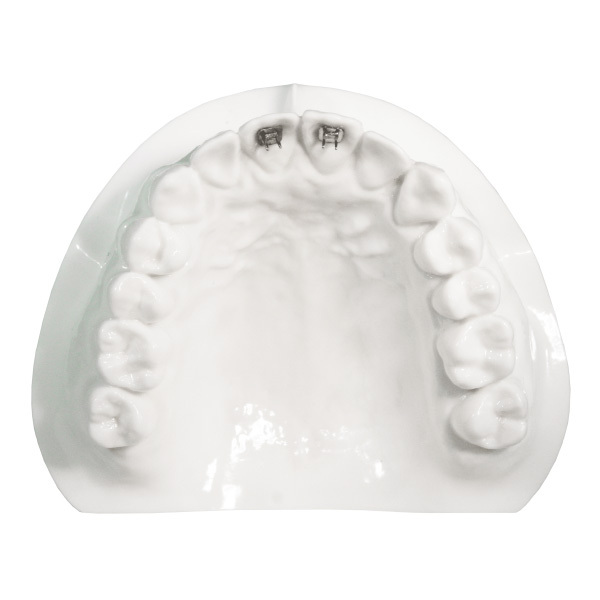 It features a bead lingual to the anterior teeth to remind the patient to posture the tip of their tongue close to the incisive papilla. It is also designed with horizontal sheaths for easy removal and adjustment. 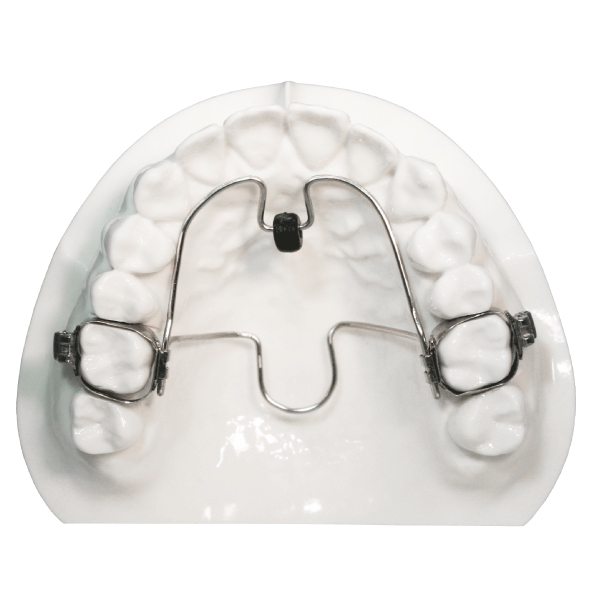 This appliance is used to improve tongue posture and swallowing patterns as well as discourage thumb or finger sucking.